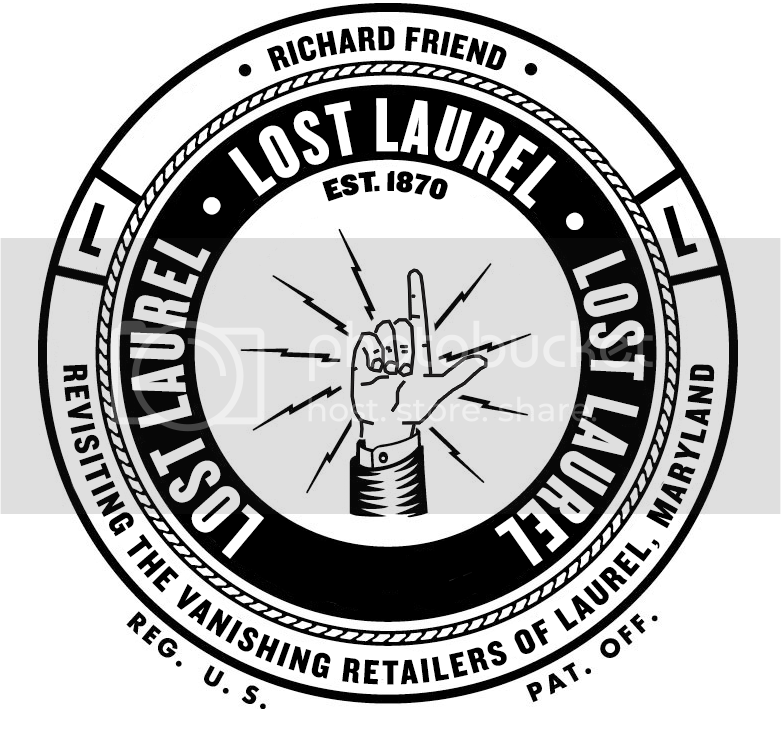 If you lived in Laurel in 1976, chances are, you probably had to call one of the stores at Laurel Shopping Center at some point. Maybe to check what times Rocky was playing at the Cinema; or perhaps to see if Suburban Music had that new Bee Gees record in stock yet. And to do that, you probably referred to your standard Laurel yellow pages, or the annual Laurel Community Guide distributed by the Laurel Area Chamber of Commerce. 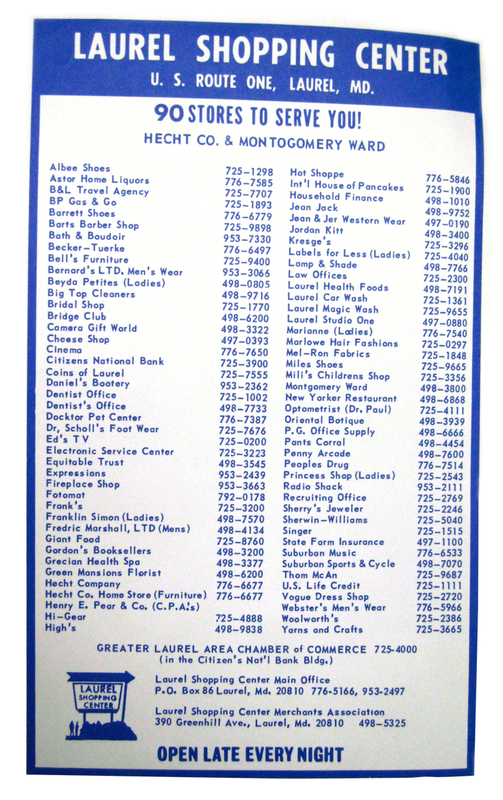 Within either of those publications, you would have found this handy phone directory—which included an alphabetical listing of all “90 stores to serve you!” in the Laurel Shopping Center. (You probably never noticed that there were only 84 listed, but I digress). You probably did notice, however, that the busy typesetter misspelled Montgomery Ward in the masthead banner. And you may also have wondered what the difference was between “Dentist Office” and “Dentist’s Office”, but again I digress. Glancing at this list over 35 years later, you’re probably most surprised now at how archaic these once-common phone numbers suddenly look… without an area code. At the time, everything in Maryland was area code 301—and more importantly, you never had to dial it for local calls. Seeing a phone number in print without an area code today looks almost as antiquated as those old telephone exchange names from the 1940s. This was the heart of Laurel retail at the time, and it would be another three years before Laurel Centre Mall even came along. There are some unforgettable names on this list, and some that have have probably faded from memory over the years. And incredibly, there are a few that are actually still in business there to this day. How many do you recognize?